A warm afternoon after a light snow this Fall in Colorado. Gorgeous sunrays trough the trees. Amazing shot! Have you tried to make it quadratic? what a beautiful burst of sunlight! The light in this one is quite beautiful and captivating, it really warms the soul. Fantastic picture, the mood is almost extraordinary. Love the light, really wonderful scene. WoW! Very exciting. Love the sun and trees. This is a Wow! Absolutely gorgeous light. 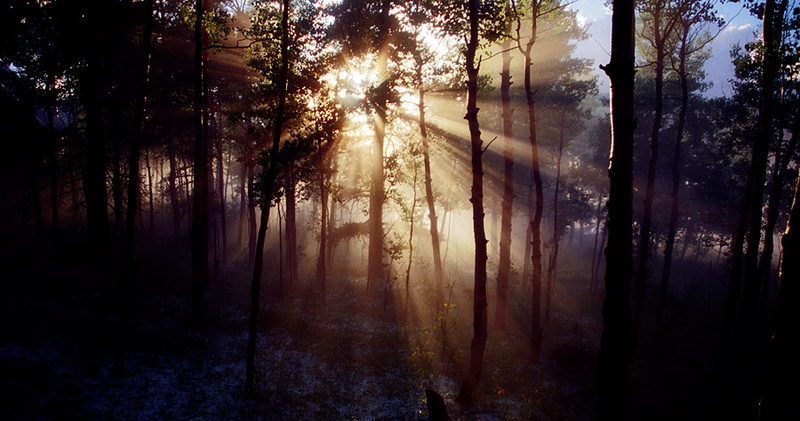 A stunning composition with the glorious light shining through the forest of trees!! This evokes a heavenly feeling. Thank you Steven, this was from our old place high up in the mountains of Colorado, it certainly was heavenly!